Columbia University Weatherhead East Asia Institute, 23 April 12:00-13:30. Harvard University Fairbank Center, 25 April, 16:00-17:30. Reid Hall, Columbia Global Center in Paris, 14 May, 19:00-20:30.
Who are the new Chinese intellectuals? In the wake of the crackdown on the 1989 democracy movement and the rapid marketization of the 1990s, a novel type of grassroots intellectual emerged. Instead of harking back to the traditional role of the literati or pronouncing on democracy and modernity like 1980s public intellectuals, they derive legitimacy from their work with the vulnerable and the marginalized, often proclaiming their independence with a heavy dose of anti-elitist rhetoric. They are proudly minjian—unofficial, unaffiliated, and among the people. In this book, Sebastian Veg explores the rise of minjian intellectuals and how they have profoundly transformed China’s public culture. An intellectual history of contemporary China, Minjian documents how, amid deep structural shifts, grassroots thinker-activists began to work outside academia or policy institutions in an embryonic public sphere. Veg explores the work of amateur historians who question official accounts, independent documentarians who let ordinary people speak for themselves, and grassroots lawyers and NGO workers who spread practical knowledge. Their interventions are specific rather than universal, with a focus on concrete problems among disenfranchised populations such as victims of Maoism, migrant workers and others without residence permits, and petitioners. Drawing on careful analysis of public texts by grassroots intellectuals and the networks and publics among which they circulate, Minjian is a groundbreaking transdisciplinary exploration of crucial trends developing under the surface of contemporary Chinese society. This edited volume provides an overview of the many forms of critical popular memories of the Mao era that have recently developed in China. While the state has attempted to limit critical memories to the private realm, they have increasingly appeared online and in the media, in cultural productions and in the publications of amateur historians, despite the crackdown in the last few years. These popular memories challenge the officical historiography and have begun to modify the dominant narratives of the Mao era. For example, public debates have taken place over the last decade about some key episodes in PRC history: the Anti-Rightist Movement, the Great Famine of 1959-1961 and the Cultural Revolution. While trauma and nostalgia dominated earlier expressions of memories of the Mao era, the new narratives, which appear in semi-official or unofficial journals, in independent documentary films, in private museums, or in oral history and archival projects by amateur historians, seek to open a space for a critical debate about China’s recent past. Contributions by Jean-Philippe Béja, Wu Si, Jun Liu, Kirk Denton, Sebastian Veg, Judith Pernin, Aihe Wang, Frank Dikötter, Michel Bonnin, and Daniel Leese. 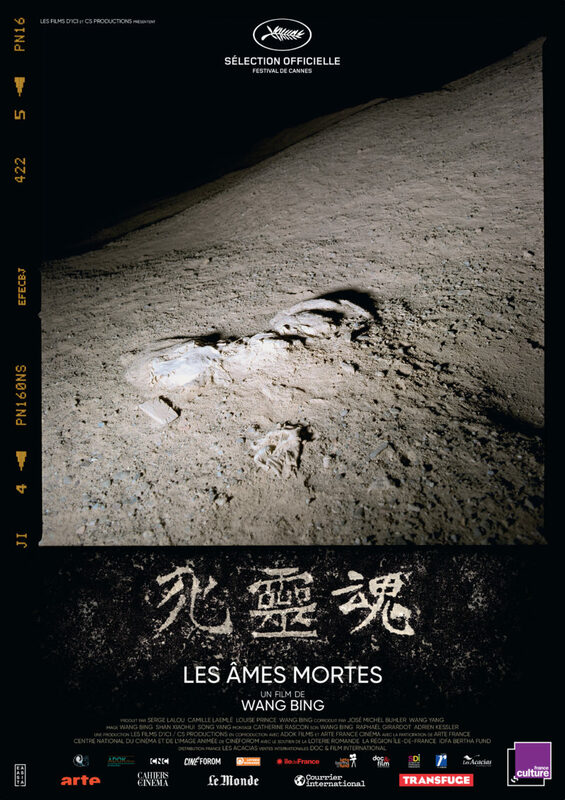 A few weeks ago, Wang Bing’s newest 9-hour documentary Dead Souls got a small-scale arthouse release in Paris. In conjunction with the release, EHESS organized public screenings of some of his earlier films and invited Wang Bing to give a masterclass on October 31. Dead Souls is a project Wang Bing has been working on for over a decade. When Yang Xianhui’s book Chronicles of Jiabiangou (a collection of lightly fictionalized oral history accounts of former victims of the Anti-Rightist movement in Gansu who survived the deadly famine in the Jiabiangou Reeducation Through Labor Camp in 1960), which I wrote about in China Quarterly, was first published in 2003, Wang Bing contacted Yang. Wang Bing is from rural Shaanxi, which borders Gansu and, as he has mentioned in interviews, two of his uncles on his father’s side were persecuted as rightists, which may have sparked his interest in the book. After buying the film rights to Yang’s book, Wang Bing proceeded to start seeking out the people Yang had talked to, conducting his own interviews with them. One of these interviews with He Fengming, who had written a book explaining how her husband Wang Jingchao died of famine in Jiabiangou, became a stand-alone film, Fengming (2007). These interviews were preparations for a fiction film project, which was finally completed in 2010 under the title The Ditch. Shot in harrowing conditions more or less on location, it uses what I argued was a form of highly theatrical acting to create a sense of distance between the viewer and the story. Since that time, Wang Bing has mentioned that he had plans to use the footage of the 120 preparatory interviews to make a kind of compendium documentary on the Anti-Rightist movement. This is the project that has now partially come to fruition (Dead Souls is supposed to be the first part of a several-part project). Wang Bing struggled for many years with this material to the point of mental anguish and only managed to overcome the difficulties after going back to Lanzhou in 2014 and re-interviewing those of the survivors who were still alive. He has stated that observing the speed at which their ranks were thinning gave him a sense of urgency that helped him finish the film. Before discussing the film itself, I want to mention another unique work (it also happens to be showing today, November 25, at the Tate Modern): Traces (遺址, 2014). As Wang Bing has explained, this 29-minute documentary was shot during his first visit to the site of Jiabiangou, using old 35 mm film that he had collected for some years. During most of the film the camera points straight down to the sandy desert ground, occasionally showing the director’s boots. In the first section “Mingshui,” wherever the camera turns, it finds human bones, loosely scattered among the sand, and even several skulls, as well as some more recent remains of bottles, gourds and clothes left by vagrants. In the second section “Jiabiangou,” the camera enters some of the caves where the inmates lived in 1959-1960. Just like in The Ditch, the contrast is striking between the bright light of the desert and the pitch black inside the caves. This contrast draws the camera’s attention to two characters carved into the stone wall: 自由 or freedom. The film has a strong self-reflexive dimension. Some of the old 35 mm film is corrupt, so that geometrical shapes appear on the image. The human body behind the hand-held camera manifests itself in the jerky movements. In addition to the wind and the heavy breathing of the director, the sound is saturated by the noise of the camera motor, drawing attention to the equipment itself. Wang Bing reportedly returned to the venue on the second day to record the sound separately from the image. All of these intrusions remind the viewer that the history being excavated is mediated through the director’s gaze. Dead Souls is divided into three parts (it was shown in Cannes in two parts). Of course, the main challenge in organizing the massive amount of footage (600 hours) was how to structure the film. The excellent press kit contains an interview in which Wang Bing explains that, rather than a chronological organization, he chose to give each surviving witness a block of roughly 30 minutes. Of course, this time represents only a fraction of the full interview, and Wang Bing uses exaggeratedly rough jump cuts to draw the viewers’ attention to what he is leaving out, almost like ellipsis marks in a quotation. All together, there are a dozen of these long testimonials in the film. Just like in Yang Xianhui’s book, almost all of the interviewees underscore that they had no political divergence with the communist party, they were not “rightists,” but were usually targeted for extremely minor and mundane offenses. While there is some repetition in content between them, the overall effect is particularly powerful because the viewer can enter the world of each of the interviewees and gain some understanding not only of the facts that they are trying hard to remember, but also of their personalities and how the trauma of a close brush with death in their 20s or 30s has left traces in their psychology. While I can’t provide a full discussion of the film here, I’d like to mention two episodes that stand out very strongly. In the first part, a long sequence is devoted to the funeral of one of the survivors whom Wang Bing has briefly interviewed on his sickbed, Zhou Zhinan. A traditional burial with instruments and ritual lamentations, in the remote hilly countryside of Shaanxi (whereas the government aggressively promotes cremation as the only “modern” type of burial) in December 2005, it shows the abiding sadness and resentment of Zhou’s son who tries to lay his father to rest while honoring the memory of his persecution. Another outstanding episode appears in the third part of the film, with the only interview of a camp guard, Zhu Zhaonan. Wang Bing notes that guards were often older and many have already died, while others are not willing to speak out. It is also the only interview in which the director is visible. Zhu was a cook in Jiabinagou, who was sent ahead to set up the annex at Mingshui, where the greatest number of inmates ended up dying. Listening to Zhu’s narrative, suddenly all the parts of the camp’s geography and organization fall into place, as we realize how fragmented the vision of each survivor is, and how little they understood about the camp as a whole. Zhu provides fascinating details, such as the fact that in the main camp they provided halal food for Muslim rightists. He quantifies the deeply felt inequalities in treatment between cadres and inmates: cadres were given about 450g of grain per day, while the inmates’ ration was 250g. Mingshui was organized around three ditches in which the inmates lived. As everything broke down in Mingshui during the massive famine, deaths were still generally logged in the record books but the dead could no longer be buried because the ground was frozen at least one meter deep. Death was everywhere and became completely normal. The authorities wanted the rightists dead: “要他們的命.” Sympathizing with the rightists was out of the question because of “class consciousness,” even though many of the guards knew that they had been falsely accused or deported on trumped-up charges. Zhu prides himself on having at least tried not to mishandle anyone. The interview ends with the only known surviving photo of Jiabiangou, which Zhu gave to Wang Bing when they met again. It shows him riding a bicycle smiling amid a bunch of bedraggled inmates, and is a truly chilling testimonial to what in effect became a death camp, reminiscent of controversies surrounding photos of Nazi concentration camps. This is underscored in the ending of the film, which concludes with the footage of the camera nosing among the bones scattered in the sand. Wang Bing’s film covers some of the same ground as Ai Xiaoming’s 5-hour Jiabiangou Elegy (夾邊溝祭事, 2016) but the structuring principle is opposite. While Ai cuts the interviews into short slices and reorganizes them by theme, Wang Bing structures his film around the individuals, not the information. Hence, Ai’s film is richer in historical facts, she covers a broader range of different administrative categories. But Wang Bing’s film provides the viewer with unique insights into the mental world of each individual, whether they are communists, dissidents or Christians, whether they are urban intellectuals or rural laborers. This is part of Wang Bing’s broad investigation of how human beings maintain a form of agency in the most harrowing circumstances. It is also part of the many current efforts in China by historians like Yang Kuisong (e.g. Chronicles of Marginals) to rewrite the history of the Mao era based on the lives of ordinary people, and on understanding the mental frames of individuals rather than only looking at collectives. This is my 3rd end-of-month post this year after August and September. Apologies that my October post fell victim to schedule overload. It’s an interesting though somewhat stressful exercise to post on a regular timetable. This short piece was written for a booklet edited by the Japanese distributor of the documentary film Yellowing 亂世備忘, by Chan Tze-woon (Hong Kong, 2016, 129′) and is reprinted here with their kind permission. More information is available on the film’s official website. Chan Tze-woon’s film Yellowing is an important contribution to documenting Hong Kong’s 2014 Umbrella Movement from a grassroots perspective. Chan takes inspiration from the tradition of participative documentary, filming a group of ordinary movement participants from all walks of life throughout the 79-day occupation. The events of 28 September 2014, when the police used tear gas against unarmed protesters, were decisive in shaping this new community. It was common that movement participants formed strong connections with people they did not previously know after enduring tear gas and police violence together, and at the same time formed the resolve to occupy public areas in Admiralty, Mong Kok and Causeway Bay. This corresponds exactly with the filmmaker’s situation: having brought along a small, light camera, he begins filming the people around him on 28 September, who end up becoming the four main characters in the film. Characteristically, they are united on the first day by a feeling of belonging (as one participant tells the policemen facing them: “we are all Hongkongers”), of defending an endangered community. This group that did not previously know each other forms bonds among themselves and with the film maker, and decides to camp outside, on and off, for the duration of the movement. The film becomes the record of the director’s participation (in one episode, the camera itself, which usually “protects” the director, is targeted by a police officer) and indeed his own creative contribution to the movement. The Umbrella Movement’s central claim was obtaining “genuine” universal suffrage for electing Hong Kong’s Chief Executive. However, like many social movements, the Umbrella Occupation also became a stage to perform and strengthen a new form of identity. The notion of a Hong Kong identity appeared in the 1970s, as the British colony became increasingly prosperous and the government efficiently fostered a sense of belonging among its inhabitants. This original Hong Kong identity was generally defined by Chinese ethnicity, combined with Hong Kong’s market capitalism, and unique commercial culture. Politically, it was loyal to an abstract definition of the Chinese nation (distinct from both the PRC regime in Beijing and the ROC regime in Taipei), supporting causes like democracy in China (the 1989 democracy movement) but also anti-colonial (obtaining the status of Chinese as an official language in Hong Kong) or pan-Chinese nationalism (supporting claims to the Senkaku/Diaoyu Islands). Its identification with Hong Kong was generally unpolitical, as expressed in Cantopop music or commercial culture. In the years after the Handover in 1997, a new form of identity appeared (especially among younger generations), which now downplayed Chinese ethnicity and culture, and instead emphasized Hong Kong’s specificity as a civic community characterized by shared values of democracy and rule of law. The spontaneous formation of the Umbrella community in the film, through random encounters between unconnected individuals, who spend almost three months together debating politics, as well as engaging in everyday tasks like studying, teaching, organizing movement logistics, or even flirting, illustrates and epitomizes the formation of a civic community. An important point noted by the film are the strong connections between the two main sites, in Admiralty (often seen as more elite and dominated by students) and Mongkok (considered more grassroots and dominated by working class participants). The group itself is socially quite diverse, and it moves back and forth between these two places, as well as other spaces in Hong Kong, mapping a parallel geography of protest that includes the elite University of Hong Kong, as well as a small apartment in working-class Ho Man Tin district, where a Trotskyite group holds a debate, and Cheung Chau Island, where the more traditional families of several group members live. The film further effectively uses music and sound to contrast the different identities at play. It begins with a montage sequence alternating between the firing of tear gas on 28 September 2014 and the fireworks display on China’s National Day, October 1st. A little later, the film cuts from a scene of movement participants in Mongkok singing the informal anthem of democracy protests, “Vast Ocean, Boundless Skies” (海闊天空) by the band Beyond, to the PRC anthem, “The March of the Volunteers” played at the official ceremony for National Day attended by senior Hong Kong and Beijing officials. The generational dimension of the new identity is particularly highlighted when the director inserts home video footage from his own life, in connection with historical events. He was born in 1984, the year of the Sino-British Joint Declaration that set the stage for the Handover, learned about “One Country Two Systems” in primary school, and about the Basic Law in university, persuaded that eventually Hong Kong would implement universal suffrage. At the end of the film, images of the protests are replayed in the same home video format, suggesting they have already become history. While yellow ribbons were the symbol of the movement, the English title “Yellowing” can also refer to the process by which old photos or videos may fade and become blurred. The film then, as suggested by its Chinese title, not only serves as a “reminder” for the participants to be replayed in 20 years, but indeed constructs the collective memory of an entire generation. This article argues that the new “localist” discourse in Hong Kong is mainly based on a Hong Kong-centered civic identity. As such it still overlaps with the traditional pan-Chinese civic nationalism (as manifested in June Fourth vigils), but is increasingly in conflict with the ethnocultural nationalist discourse that has become more prevalent in mainland China in recent years. While it was traditionally accepted that Hongkongers shared a form of pan-Chinese cultural identification that did not contradict their local distinctiveness, over the last decade Hong Kong has seen the rise of new types of local identity discourses. Most recently, “localists” have been a vocal presence. Hong Kong has – quite unexpectedly – developed a strong claim for self-determination. But how new is “localism” with respect to the more traditional “Hong Kong identity” that appeared in the 1970s? The present study takes a two-dimensional approach to study these discourses, examining not only their framework of identification (local versus pan-Chinese) but also their mode of identification (ethno-cultural versus civic). Using three case studies, the June Fourth vigil, the 2012 anti-National Education protest and the 2014 Umbrella movement, it distinguishes between groups advocating civic identification with the local community (Scholarism, HKFS) and others highlighting ethnic identification (Chin Wan). It argues that while local and national identification were traditionally not incompatible, the civic-based identification with a local democratic community, as advocated by most participants in recent movements, is becoming increasingly incompatible with the ethnic and cultural definition of the Chinese nation that is now being promoted by the Beijing government. Commemorating an Anti-Authoritarian Provocateur: Wang Xiaobo. Just published: Commemorating an Anti-Authoritarian Provocateur: Reflections on Wang Xiaobo (1952-1997), Blog of the Los Angeles Review of Books, 11 April 2017. Reprinted on Geremie Barmé’s China Heritage site.